Founded by James King and James Drury, King & Drury has built a reputation for successfully delivering high-end refurbishments, renovations and new build properties. The Firm’s founders first met whilst studying Construction Management at Southampton University. After graduating, both accepted positions at a national house builder, with King taking a role in Construction Management and Drury becoming a Quantity Surveyor. After building properties en masse for a number of years, the pair made the transition into more niche projects. King started to develop his own new build properties, as well as being commissioned to carry out extensions and renovations, including listed building restoration work. Drury meanwhile honed his skills in a small executive firm of house builders, progressing from Quantity Surveyor to Commercial Manager, overseeing the appointment of suppliers, sub-contractors and technical consultants. After years developing their experience and reputations separately, their shared passion for building brought the pair together again and they founded King & Drury. Since establishing the Firm, they have built a body of work ranging from the restoration of listed buildings to contemporary projects, and gained a long list of happy clients – both domestic and commercial. Stone Red Construction is proud of the reputation it has gained over the years for quality work, demonstrated by the many projects generated by recommendations from existing clients and architects. We provide our clients with quality service and standards for new builds, renovations, refurbishment, extensions and loft conversions. Prospective clients are welcome to speak to, and even visit, our previous projects to see for themselves the quality of the finished commissions. We run a number of experienced teams, with full project management and office backup. From concept through to completion we work together with our clients to change the way they live while building their dream home. Contact us today if you have any questions or if you'd like to arrange an initial meeting. Established in 1967, Heritage is one of West Sussex's most prestigious construction companies. 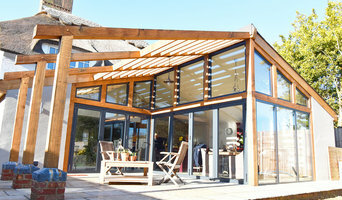 We are the South coast’s leading house conversion, home extension and new build specialists. Over the last 50 years the company has evolved to cover a range of professional trades in both the commercial and residential sector. We offer a personal service working with clients to realise their dreams,with great attention to detail. We offer the smartest ideas for any build and design project from refurbishments and extensions to Grade II listed building and new developments. Clever Build and Design offers the complete building package and the combined experience of our established and respected trade professionals extends over 120 years. We work with the finest carpenters, the best stone masons, the strongest brick layers, the smoothest plasterers, the brightest electricians and plushest of plumbers to ensure your project is finished to the best standards available. We firmly believe our customers should enjoy their new building project every step of the way and working with the Clever Build and Design team, it’s our job to make that happen. We build in brick, block stone and timber. By using authentic materials typical of the region we are usually able to blend new to old. Hampshire based Building Contractor's and Project Management. Helping client's achieve their goal's with advise and guidance from start to finish. Nixor Build is a construction company based on the South Coast. We are proud to be a growing, successful and reliable company offering a service that the typical builder is not. From Conception to Completion our clients visions are placed at the centre of each build. Alongside our knowledge and experience in the construction industry, we input passion and energy into every Renovation, Extension and Individual project. We believe that attention to detail is paramount alongside communication and exceptional organisation both on site and off. Your project is more than just bricks and mortar, to us its about design and creating an environment that's sympathetic to your home. Our success can only be built on your satisfaction! Why not build you own house with the help of Itchen Abbas, Hampshire builders? 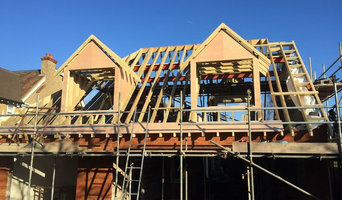 Builders in Itchen Abbas, Hampshire can be employed to handle a wide range of projects; from knocking down a partition wall to building a kitchen extension, but you’ll certainly need the help of a trusted house builder if you plan to build your own home from the ground up. But why would you take on such a task? This may seem like a daunting task, and admittedly, it’s not for the faint-hearted. But with extensive research, trusted builders in Itchen Abbas, Hampshire, detailed budgeting and good judgement you might soon be sitting in the house of your dreams, at a snip of the cost. Your architect’s plans will serve as clear instructions to your builder and, if the former has done their job well, you should also avoid any nasty surprises with the local council. 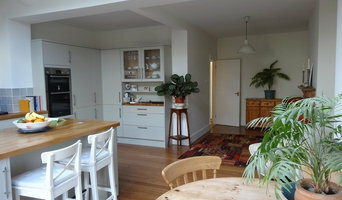 Finding the right Itchen Abbas, Hampshire builder need not be a long or difficult process. 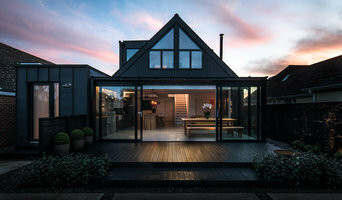 Personal recommendations aside, a good place to start is the Itchen Abbas, Hampshire Home Builders category of the Find a Pro section on Houzz, where you can see their previous work and ask questions. Compile a shortlist of at least three builders in Itchen Abbas, Hampshire that can handle the full scope of works, either by themselves or through sub-contracting. It is often a good idea to play devil’s advocate and ask what the builder will not be responsible for, such as structural engineer consultations. Be weary of unusually cheap quotes. Ask for references and stories about how the builder has met different challenges along the way. If you can, you could try to see builders’ previous projects in person and talk to previous clients, or if not, read reviews, recommendations and ratings, and look at detailed photos of projects. How long have you been operating as builders in Itchen Abbas, Hampshire? Find builders on Houzz. Narrow your search in the Professionals section of the website to builders in Itchen Abbas, Hampshire. 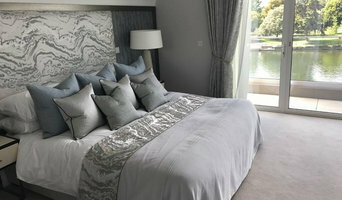 You could also look through Itchen Abbas, Hampshire photos to find a project you like, then contact the Itchen Abbas, Hampshire builders that created it.